PDFelement 6 is a perfect alternative to Adobe Acrobat which lets you do necessary editing of PDF files. Get total control over your PDF files as the software also offers advanced edition option in which you can do cropping, mirroring and rotating using some graphic based tools. 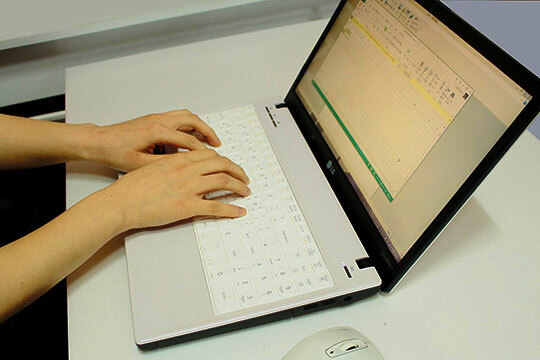 The software provides superior OCR experience along with table recognition. The software supports 9 different languages and it is available for Android, iOS, Mac, and Windows. So, go ahead and revolutionize your old forms into highly interactive ones with PDFelement 6. Recommended for you: How to Create Fillable PDF Forms with PDFelement 6. Whether it is power presentation, excel sheets, Outlook, OneDrive, OneNote, Access, Publisher or word document, you can edit everything with Microsoft Office. After subscription, you will get latest versions of software which are updated on regular basis. Microsoft Office is one of the most versatile software that is suitable for home, business as well as education purpose. A user of any age finds it comfortable to use from the place of his choice. Evernote is one of the most sought-after platforms for creating, managing and editing notes. It lets you maintain your work in the more organized form. You can collect your entire data and keep it in one place using Evernote. The software lets you search even handwritten notes. You can also customize your notes with tables, checklists, links, audio recordings and attachments. If you want to explore what Evernote has got for you, then simply sign up for a free premium trial version of this amazing tool. 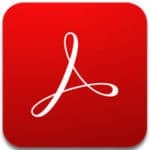 If you want a tool that will offer you more than just editing PDF files then check out Acrobat DC. It offers several features that let you get your work done from the web, computer or Smartphone. Explore several premium features of this tool with some unique plans available on the website. With these plans, you can edit text as well as images in your PDF file. You can create, sign and fill forms with total ease. Acrobat Pro DC also allows you to create PDF file and export it to the PowerPoint, Excel or Word document. Just like Microsoft office, this software lets the user edit presentations, excel sheets, forms, and documents. Apache OpenOffice is free to download, distribute and use. The software has a long history and on the virtue of this experience, it has got millions of satisfied users until today. You can use it for varied purposes such as educational, private, government, commercial, public administration and much more. Once you download this software, you will get an access to different tools such as Writer, Calc, Impress, Base, Draw, Math etc. You may also like: VSDC Free Video Editor Review – A Free Software for Video Editing. Google Docs/Sheets/Slides/Forms lets you create useful docs, sheets, slides, and forms with total ease. You can edit and collaborate those for free from wherever you are. A wide range of templates you can access that let you execute your task efficiently thereby achieving high productivity. You can access your files from computer, tablet or Smartphone even though there is no internet connection. Apple Pages/Numbers/Keynote lets you develop well-organized spreadsheets that cover several images and tables. You can create documents which are exemplary for the amazing creativity. A user can use Apple pencil to produce illustrations and diagrams that will give an additional grace to the slides. The keynote lets the user create presentations of his life through stunning effects and extraordinary tools. The more time you spend, the more you will explore about this fabulous software. So, go ahead and check out above mentioned document editing tools to execute your task in the most effective way! It’s very fantastic service thanks for your facilitation. For me just I need word documents editor application.